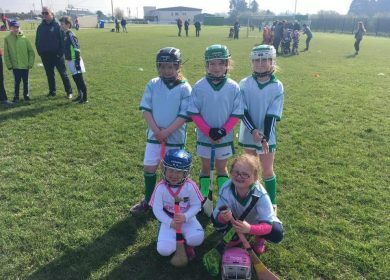 The U8 Camogie team welcomed Kilcullen, Round Towers & St Laurence’s to the club this morning for a blitz. There were some great skills on show in the 2 games played. Well done girls! 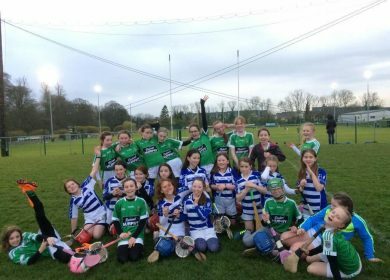 The u12 Camogie team played their first match of the year tonight, narrowly losing out to Naas. Great effort displayed by all. Best of luck girls for your next match. Best of luck to the team and management! 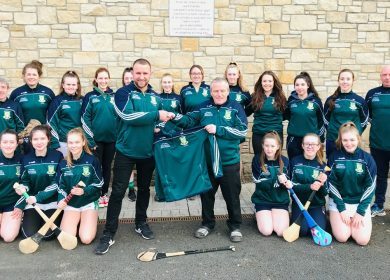 Thanks to James O’Neill, O’Neill Mechanics, for his generous sponsorship of tops for our Senior Camogie team. 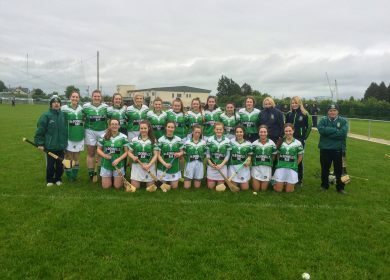 Thanks to James O’Connor, Highfield Construction, for his generous sponsorship of gearbags for our Senior Camogie team. 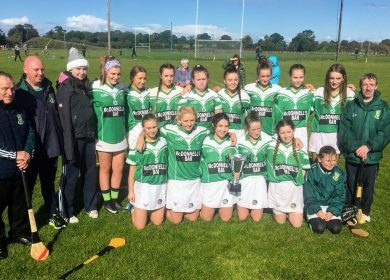 Thanks to Damien Kelly and Keith Ryan, DKR Heating, for their generous sponsorship of hurls for our Underage Camogie and Hurling Section. It’s greatly appreciated. Well done to all the boys and girls who attended the underage camogie and hurling session in the hall on Monday evening. Great fun had by all and see you next week. New members always welcome. 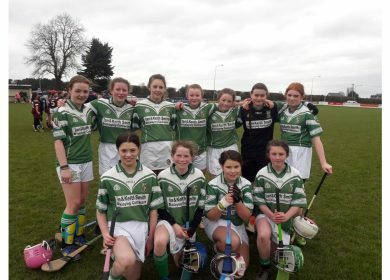 The U14 camogie and hurling players had a competitive game this morning up in the club. Although a few cobwebs had to be blown away, it was a great entertaining game. Well done to everyone.